CAROLE KING, JAMES TAYLOR AND THE RISE OF THE SINGER SONGWRITER! THIS WEDNESDAY PBS WILL BE AIRING THE DOCUMENTARY “TROUBADOURS” CAROLE KING, JAMES TAYLOR AND THE RISE OF THE SINGER SONGWRITER…HERE’S WHAT BOB ETIER SAYS ABOUT IT. American Masters will present Troubadours: Carole King, James Taylor, and the Rise of the Singer-Songwriter on Wednesday, March 2, at 8:00 p.m. (Eastern; check local area listings). Directed by Morgan Neville, For those who can’t wait for March 2, a 2-disc CD/DVD package featuring the entire 90-minute documentary, plus ten audio tracks of “choice 70s-era classics”, will be released March 1. Artists on the audio disc include many who appear in the documentary. Troubadours: Carole King, James Taylor, and the Rise of the Singer-Songwriter recounts the rise of Taylor and King, as well as other performers from that era. Participating are Carole King, James Taylor, Cheech & Chong, Steve Martin, Jackson Browne, David Crosby, Roger McGuinn, Kris Kristofferson, JD Souther, Bonnie Raitt, and Elton John. Also interviewed for the documentary are former Troubadour staff members (bartender, doorman, assistant to owner Doug Weston), musicians, managers, writers, producers, photographers, and songwriters. 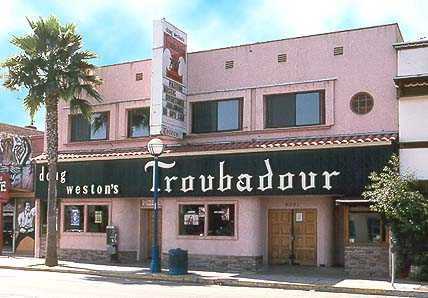 King, Taylor, Eagles, Steve Martin, Elton John, and Joni Mitchell are shown performing in archival clips, and there are scenes from the Taylor/King performances at the Troubadour in 2007 and 2010’s Troubadour Reunion Show.